When she began to suspect something had gone terribly wrong with the public water supply, she was on it—as a physician and as a parent, she knows how dangerous contaminated water can be. She was stone-walled by officials when she sought research data on the water, then given falsified numbers. But she found private research that showed a startling and dangerous upswing in lead in the city's water. Lead can permanently damage human brains and bodies, especially children's. 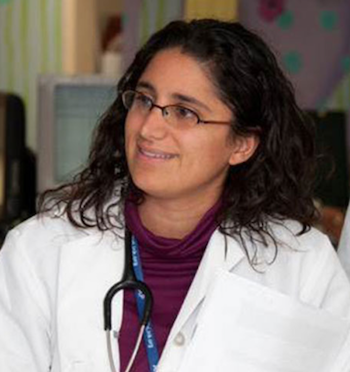 Dr. Hanna-Attisha was relentless in pursuing the truth and in going public when she was ignored and insulted by those in charge of Flint's public health and safety. There were accusations against her personally and the possibility that her challenge could endanger the medical center's funding. She was shaken but went right on. Thanks to her courage, now the world knows what was done, and the people of Flint are on the nation's agenda–a lot of serious damage to people and to the infrastructure must be repaired. First step: the city's water is once more coming from Lake Huron as it was before the "cost-saving" switch to piping it in from the polluted Flint River. Dr. Hanna-Attisha, we're sure, will be on the case for as long as it takes.